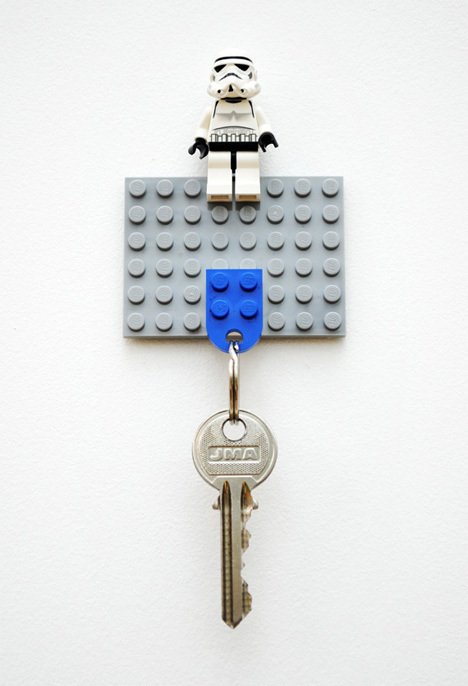 Every geek needs a place to hang his or her hat, and probably a few keys, too. 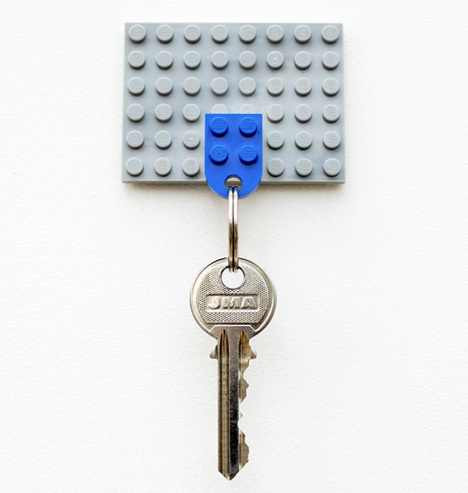 There have been a few DIY Lego key holders circulating around the interwebs for a while now, but we like this one because it’s simple and effective, and it includes the part number for the piece you can attach a key ring to – no drilling or special hardware required. The project is really as simple as hanging up some flat base pieces (using those no-damage foam sticky pads) and attaching a standard round key ring to the Lego piece with the hole in it.If you don’t want to special-order the pieces with pre-drilled holes, you can take standard 2X4 bricks and screw tiny eyehooks into them. The minifig is optional, but wholeheartedly recommended. The keys, attached to the small bricks, join conveniently to the base pieces on the wall. 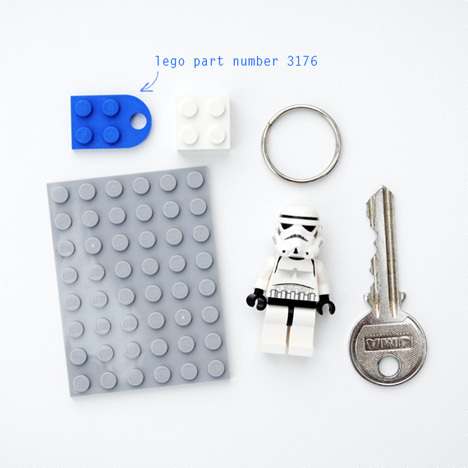 One of the best ways to use this system is to attach one key to each of the Lego piece key rings, then on your way out grab only the keys you need. Attach the key rings together to create a custom cluster of keys and leave the unnecessary ones at home.